When it comes to a business, there are a lot of essential aspects that must be taken into account. One of the most important parts of a business is its website. A website must be high-quality in order to leave a good first impression on customers and to effectively represent your company. 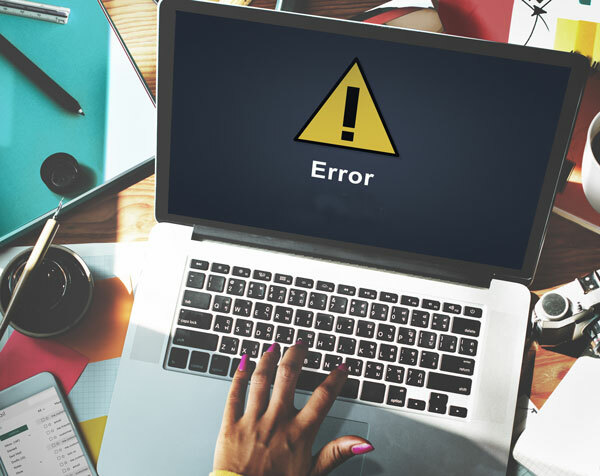 In order to create the most ideal site for your business, here are the five major website mistakes and how to avoid them. While Websites have gotten longer in length and screens resolution have gotten greater, it important to remember that there are so many different screens and resolution. 4k monitors and newer laptops have allowed users to see more of a website, but not everyone has a 4K monitor or a screen with big resolutions. Remember customers will come to your website with certain goals in mind; most often, customers will be searching for information. A customer who is looking for information will not want to spend more time than necessary retrieving that information. It is important to make sure your site is formatted in a way that allows customers to find information quickly and easily. In addition, ensure that your website has a proper fold. It needs to be noticeable that there is content underneath the part of the site that is immediately visible without scrolling. An article from Optimizely explained how most viewer attention will be focused above the website fold, no matter how you design your website. With an appropriate website fold, customers will scroll down and view all of the information on a page. Having to dig through the clutter in order to reach important information on a website can be frustrating to visitors. An article from the Nielson Norman Group explained how endless scrolling can be especially harmful to a site that is goal-oriented. For example, a customer may come to a website hoping to view information located in the footer. The footer commonly contains important details, such as contact information, and should be easily accessible. A common mistake that often results in endless scrolling is a one-page design. By placing all of the content on one page, a customer may feel overwhelmed or tricked scrolling through the site not knowing when they will reach the bottom. Endless scrolling is similar to a Midwest winter. Just as people do not enjoy the never-ending freezing temperatures, they would not like to be endlessly scrolling through a website either. A website needs to be unique in order to stand out amongst competitors. Implementing innovative features can be very positive in many situations, but also comes with downfalls that are important to avoid. First, if features compromise functionality, customers will not understand how to navigate your site. If a user cannot navigate your website effectively, they will simply leave the site and look elsewhere. Next, if features are too innovative it may be difficult to adapt to older technology as some technology may not be compatible. For example, many people use older browsers or an older computer. It is important to keep this in mind in order to not compromise load time or user experience. Be careful to only include features that are functional and strengthen the site, rather than diminish its quality. When thinking of a way to inform customers that website content is still loading, websites often utilize preloaders. While preloaders could be an acceptable addition to a site in certain cases, it is not recommended to use them in cases that a website take more than three seconds to load to keep the visitor engaged. In our IH5 Web Principles, we talk about the importance of people needing to get information quickly. Keeping your customer waiting may cost you in the long run. Your website should load quickly to eliminate the need for a preloader. In order to keep bounce rates down, make sure your website is fast and functional. The first thing a customer will notice on your site is the design and the layout. Having a standard menu bar is essential to maintaining the functionality of the site. According to News Style Digital, some companies choose to integrate a hamburger menu on desktop websites, which does not do the site justice. Hamburger menus can lead to confusion, inconsistency, and lower web conversions. A hamburger menu is acceptable for a mobile site, but standard navigation should be used for desktop sites in order to provide the best user experience. A final and extremely significant design aspect is adapting your site to mobile devices. This tip is important to remember when creating a site, as mobile websites are viewed almost as frequently as desktop sites. ShivarWeb explained that your mobile site needs to not just fit the screen properly, but also needs to be “user-friendly” for all mobile users. Since 63% of all web traffic is coming from mobile devices, it is essential to take the mobile user experience into consideration in the design and functionality of your site. An effective website is crucial to bringing in more customers and more sales overall. Avoiding a website with limited visibility, non-functional features, endless scrolling, preloaders, hamburger menus, and improper responsive design will significantly benefit your business in the long run. When building your website, avoid these common website mistakes to ensure your web presence is strong and will put you on the path to a successful business.